Though small in size Bulgaria has a wealth of attractions for visitors, including long sandy beaches, beautiful mountain scenery, caves, waterfalls, striking rock formations, picturesque lakes and rivers, numerous different species of birds, plants and butterflies, ancient cultural and religious monuments, vineyards and wineries, delicious food and welcoming people. 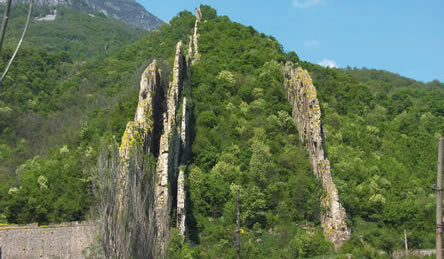 UNESCO's World Heritage List acknowledges the significance of Bulgaria's history, by including Kazanluk's Thracian tomb; Europe's only rock relief, the Madara Horseman; the frescoes at Boyana; the rock churches at Ivanovo; the Byzantine churches on the Nessebar peninsula; and the monasteries of Bachkovo and Rila, as well as natural sites such as Sreburna Lake and the Pirin National Park. Our tours offer the opportunity to sample many of these delights in small friendly groups led by British and Bulgarian experts. These fertile lands have been settled since Neolithic times, a site at Stara Zagora was inhabited in the 6th millennium BC. The Thracians followed, and Bulgarian museums contain many examples of their skilful and sophisticated creations in gold. The Romans subdued the Thracians and left many visible signs of their occupation. The arrival of new colonists, the Slavs and Bulgars, resulted in the formation of the first Bulgarian state in 681AD making it one of Europe's oldest. This kingdom expanded its territory, adopted Christianity and created the Cyrillic alphabet, laying the foundations for a great flowering of Slav culture. For a time the Bulgarian medieval Empire was the major power in the region. The arrival of a new dynamic force in the 14th century, the Ottoman Turks, resulted in five centuries of occupation, yet astonishingly the individual culture, customs and religion of the Bulgarians survived, kept alive in the remotely situated monasteries. 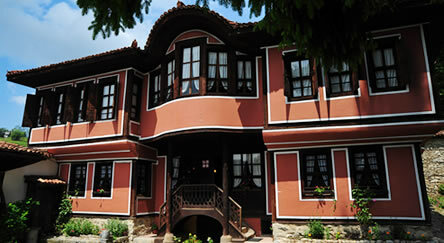 Greater prosperity in the 19th century produced a Bulgarian middle class which led the movement for religious and political freedom, the establishment of schools, and also sponsored architects and painters to build and embellish domestic and public buildings. The resulting National Revival gave us some of the country's most beautiful old towns and led also to demands for political freedom. The attempted revolt against the Turks in 1876 was suppressed with such ferocity that Bulgarian freedom became an international cause célèbre. The Russians came to the rescue of their fellow Slavs, and their victory over the Turks resulted in the proposal of a large Bulgarian state. This was reduced in size at the Congress of Berlin; other great powers fearing Russian influence. The two divided parts of Bulgaria were soon united, but the pursuit of the Macedonian irredenta was the underlying cause of the damaging Balkan Wars. In the early 20th century a socially active working class promoted Communist ideals, but the Macedonian question dictated Bulgaria's alignment in both World Wars, and their resulting position on the losing German side caused heavy indemnities and the loss of territory. In the Second World War the Communist Fatherland Front gained ground against the Monarchists, who had allied the country with Germany. After the war these Partisans dictated the form of Bulgaria's government and followed the Soviet line. Half a century later, in 1989, the Communist leader, Todor Zhivkov was overthrown. Since then there have been peaceful elections, but governments have changed frequently, and this has slowed down privatisation, restitution and the creation of a full market economy. However in the last decade, progress has accelerated with foreign investment and worker/management buy-outs. Bulgaria joined NATO in 2004 and the EU in 2007.